Of the three major drinks in the world- tea, coffee and cocoa-tea is consumed by the largest number of people. The homeland of tea is China. It is believed that Chinese have grown teaplants since two thousand years ago. Tea from China, together with silk and porcelain, was known worldwide over more than a thousand years ago and since then it has been an important Chinese export. At present, more than forty countries in the world grow tea. However, 90% of total tea output is produced by Asian countries. All tea trees in other countries have their origin directly or indirectly in China. The word for tea leaves in many languages is derivated from the Chinese character ‘’cha’’. The Serbs and the Russian call it ‘’cha’i’’, and even the English word ‘’tea’’ sounds similar to the Chinese pronunciation. 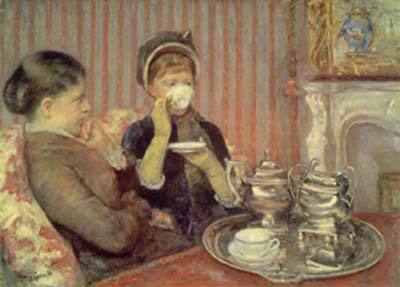 The habit of tea drinking spread to Japan in the 6thEurope and America until the 17th and 18th centuries. Now the number of tea drinkers in the world is huge and is still on the increase. century but it was not introduced to Chinese tea is classified into several categories according to the method by which it is processed. Tea leaves are dried and heated. Green and black teas are very common and they are highly appreciated in Europe. Green tea keeps the original colour of the leaves. Black tea is developed on the basis of green tea and it is recognized in China as ‘’red tea’’. There are also Wulong tea, compressed tea and scented tea. Wulong tea is somewhere between green and black teas and it is especially grown in the south of China. Compressed tea is hardened into a certain shape. It is easily transported and it is usually in the form of bricks and cakes. Scented tea is made by mixing fragrant flowers with the tea leaves. Jasmine and magnolia are mostly used in the process and jasmine tea is very much loved by the Europeans. A new tea plant needs to grow for five years before its leaves are picked and at 30 years of age it stops being productive. When pests are discovered, the affected plants are removed and the use of pesticides is also avoided. The season of tea-picking depends on local climate but it generally starts from the end of March and lasts through October. A skilled woman picker can gather only 600 grams of green tea leaves in a day.